Robin Wood has just died. Kristin and I knew him a little; we recall a convivial dinner with Robin and Richard Lippe in New York during the 1970s. We knew him chiefly on the page, as a writer whom we valued enormously. I take this moment to acknowledge his death, to suggest his importance, and to praise his memory. Today it’s hard to imagine the impact that Wood had on film criticism in the late 1960s and early 1970s. I first encountered his writing while I was in high school. I desperately wanted to know more about movies, but the nearest towns had no libraries. So I wrote to every film magazine I had heard of and said I was considering subscribing. Could they please send me a sample copy? The issues that came through included, most memorably, the Sarris “American Directors” issue of Film Culture and the Howard Hawks issue of Movie. Both changed me forever. The Hawks issue contained Wood’s essay on Rio Bravo, a sort of draft for what would become one of his most important statements. Hawks, like Shakespeare, is an artist earning his living in a popular, commercialized medium, producing work for the most diverse audiences in a wide variety of genres. Those who complain that he “compromises” by including “comic relief” and songs in Rio Bravo call to mind the eighteenth century critics who saw Shakespeare’s clowns as mere vulgar irrelevancies stuck in to please the “ignorant” masses. Had they been contemporaries of the first Elizabeth, they would doubtless have preferred Sir Philip Sydney (analogous evaluations are made quarterly in Sight and Sound). Hawks, like Shakespeare, uses his clowns and his songs for fundamentally serious purposes, integrating them in the thematic structure. His acceptance of the underlying conventions gives Rio Bravo, like Shakespeare’s plays, the timeless, universal quality of myth or fable. Nearly every Wood virtue is already here. He takes it for granted that conventions are crucial to understanding and judging cinema. He refuses an evaluative split between high culture and popular culture. He insists that worthy films have serious thematic implications—in Rio Bravo, a link between self-respect and peer respect. He shows the film’s complexity through shrewd comparison (in the book on Hawks, High Noon will provide the telling contrast). And he gives the whole thing a polemical edge with the sideswipe at Sight and Sound, a target for many years to come. But it was the books, in an apparently unending flow, that established Wood as a leading voice, and not only for me. I can’t convey the excitement that was ignited by Hitchcock’s Films (1965), Howard Hawks (1968), and Ingmar Bergman (1969), quickly followed by the monographs on Penn (1970) and Ray’s Apu Trilogy (1971). Nearly all books of film criticism were then simply collections of reviews. Wood’s stood as through-written, pondered over, carefully carpentered monographs, comparable to the best literary analysis. These studies showed, in incisive detail, what most auteur criticism simply proclaimed: great directors expressed their personal vision of life in and through cinema. Wood showed, scene by scene and sometimes shot by shot, that movies harbored layers of feeling and implication in their finest grain of detail. Without fanfare he introduced “close reading” to film criticism. Although never academic in the narrow sense, he took cinema as seriously as did critics of art or music or literature. In fact, the word “serious,” a tonal center of the Rio Bravo essay, might be the keyword of his career. Partly that seriousness is intellectual. From the start Wood’s prose had a rectitude that was argumentative in the best sense. The Hitchcock book begins by imagining the best case one can make against the director; he then demolishes it piece by piece. The author does not try to woo us. He respects his reader enough to spell out his claims and to invite a skeptical reply. At last, we thought: An honest man. The idea of seriousness took on a deeper import, one shaped by the indelible influence of F. R. Leavis. For Wood as for Leavis, great art inevitably grappled with the ultimate demands of living. Close analysis was nothing unless it revealed the author’s felt engagement with human values. This state of affairs imposed equally stringent obligations on the critic. Nothing could be farther from the snappy badinage and instant turnaround of Netwriting than Wood’s obstinate gravity. Flippancy and showing off had no place in serious criticism. Being a critic, analyzing and interpreting and judging, was a heavy responsibility, and every word had to be weighed. The very status of film as art, indeed the status of art itself, was at stake. I’m afraid the above analysis, in spelling things out, may have suggested that the film is more schematic than it actually is. Its “scheme” is in fact so subtly worked that it has taken me at least six complete viewings (together with more replays of individual scenes and moments than I can count) to disentangle it from all the detail of the realization. The above account is offered humbly, as a beginning. This passion for nuance did not lead to a sort of scientific objectivity. The responsibility of criticism made writing inescapably personal. The critic responds to the work as a living being, as a “whole man alive”—a Leavis phrase that Wood was wont to quote. 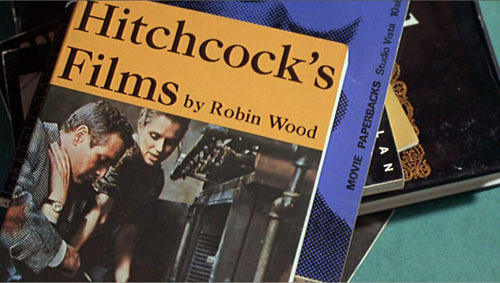 Personal Views, the title of Wood’s first collection of essays, signalled both the artistic visions expressed in the films he studied and the sincerity with which he advocated for or inveighed against a film, a trend, or a system of ideas. I don’t know any critic whose intellectual and political horizons expanded as much as Wood’s did in the 1970s. Since criticism was for him a form of living, he took his readers along as he discovered structuralist theory (which he had once attacked), accepted some tenets of psychoanalytic theory, and launched ferocious attacks on patriarchy and capitalism. The same moral fervor that informed his 1960s writing became focused upon the political oppression of women, gays, the poor, and free thought. Now, he suggested, the apparent stability of “ordinary” life relied upon psychological and social repression. If one theme runs through his work—that of the precariousness of decent human relations in the face of disorder—it finds its late expression in his belief that conservative politics, in the name of maintaining order, is implacably bent upon destroying our kinship with others. In a sense, CineAction, the journal that he co-founded, was his latter-day Movie, a forum for his new commitment to criticism that promoted progressive social change. The art he cared most about, I believe, laid bare the struggle between order and disorder. 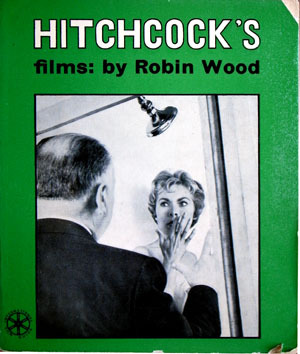 In his first book, he argues that Hitchcock shows comfortable “ordinary” people faced with a world coming to pieces. Across his career Wood ceaselessly questioned what exactly this normal order consists of. Coming out as a gay man, he devoted his finely meshed attention to reading films politically. Now those social forces that he once defined simply as threats to stability, such as the war in Bergman’s Shame, revealed themselves as products of warped political systems. The horror film presents disorder as a monstrous threat to bourgeois norms, yet it can become a powerful force in questioning those conceptions. For nearly four decades Wood recorded his efforts to grasp the concrete social implications behind the films he loved and those, increasingly from Hollywood, he found evasive and duplicitous. In all, complacent acceptance of the status quo was the enemy of the seriousness he prized. When he died he was at work on a study of Michael Haneke. These late Ozu films are detailed and highly intelligent critical studies in cultural change which ultimately defy the application of such terms as “progressive,” “regressive,” “conservative,” etc. . . . “Change” is not necessarily for the better (though our current culture is constantly telling us that of course it is) . . .—an obvious ploy of corporate capitalism, which depends upon the mystification for selling its products. If we gain new freedoms, we should also beware of casually casting off the past without asking ourselves what in it—what standards of seriousness, what beliefs, what aspects of our lives—might be worth preserving. I find all these thoughts in Ozu, incomparably expressed. Through all the constant reappraisals of films, all the unsparing reconsiderations of his own judgments, one hears the same forthright, urgent voice. Leavis suggested that the good critic always asked, in effect, “This is so, isn’t it?” Wood’s writing consists of firm assertions accompanied by challenges to respond as an equal. The invitation is set out in an impassioned conversational cadence, complete with italics and appositional phrases. In search of clarity, Wood is prepared to argue and dissect forever; who else would produce not one but two books rethinking his defense of Hitchcock? Yet this brisk voice can also move us by its simplicity, as in the sentences concluding that little book on the Apu trilogy. Suddenly the boy relaxes, and rushes forward into his father’s arms. The film ends with him seated on Apu’s shoulders as Apu walks away towards the future. In accepting the child, he has accepted life, has accepted the death of Aparna. Whether or not he is going back to become a great novelist is immaterial: he is going back to live. Wood’s essay on Rio Bravo is in Movie no. 5 (undated, 1963? ), 25-27. His “Flowers of Shanghai” appears in CineAction no. 56 (September 2001), 11-19. “Notes toward a Reading of Tokyo Twilight (Tokyo boshoku)” is in CineAction no. 63 (April 2004), 57-58. For a wide-ranging and growing set of links to eulogies for Robin Wood, visit David Hudson at The Auteurs Daily and Catherine Grant at Film Studies for Free. A recent interview framed by enlightening commentary is Armen Svadjian’s 2006 tribute, “A Life in Film Criticism: Robin Wood at 75.” Wood’s 2008 list of the films he most valued is on the Criterion site here. D. K. Holm maintains an invaluable, continually updated bibliography of Wood’s writings here. François Truffaut, Day for Night (1973). This entry was posted on Saturday | December 19, 2009 at 3:39 pm	and is filed under Directors: Hawks, Directors: Hitchcock, Directors: Ozu Yasujiro, Directors: Ray, Satyajit, Film comments, Film criticism, Film theory. Responses are currently closed, but you can trackback from your own site.